Only a few more weeks until we will be having our Carter’s Sports Cresting closing bonspiel. 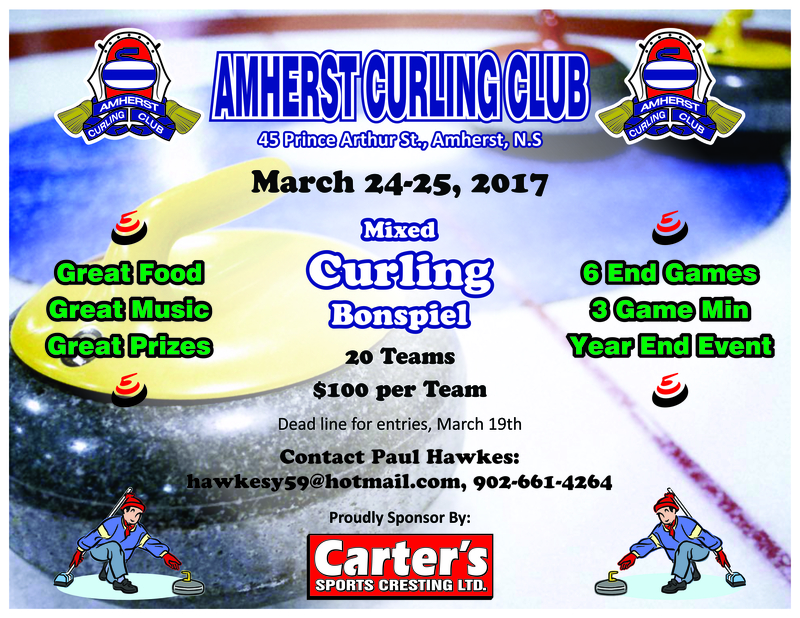 Get your team together and sign up on the poster at the Amherst Curling Club. Only 20 spots available so sign up early. The Amherst Curling Club offers a fun relaxing atmosphere where you can have fun, socialize, keep fit and stay active. Regardless if you are a new to curling or a more experienced curler, you will feel welcomed at the Amherst Curling Club. We offer a variety of different curling choices based on your interests and ability. Become an Amherst Curling Club member Today! is a semi-competitive social league made up of a range of curlers with various skill levels from beginner to experienced. Monday Night is open to individuals. offers a social and competitive environment, this league is for team entry. The same teams play together the entire season and in playoffs. is made up of teams from both the Amherst and Sackville curling clubs. It is team entry league intended for more competitive curlers. play during the day, it is mostly made up of people that are available to curl during those times, but officially, senior curlers are over the age of 50.
offers a fun social non-competitive atmosphere, made up of a range of curlers with various skill levels from beginner to experienced. 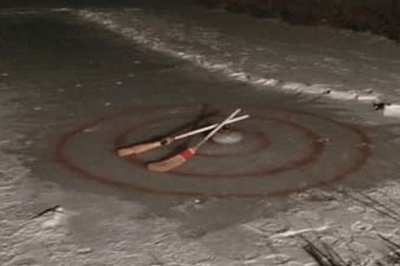 provide the opportunity to have fun while learning the fundamentals of curling. Young curlers develop skills at their own pace, under guidance of parents and volunteer instructors from the club. 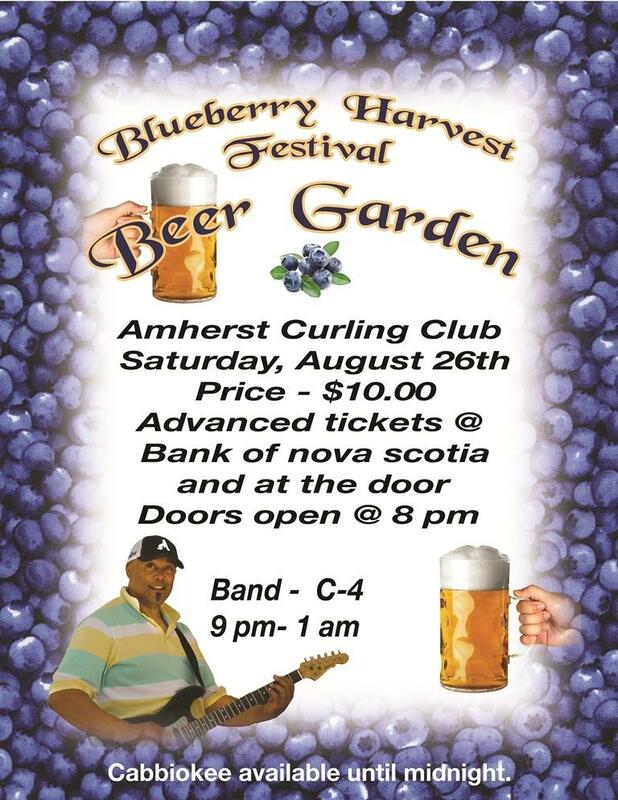 Become a member of the Amherst Curling Club Today!